We have undertaken many projects in this sector for a series of prestigious clients and we think the following are most representative of the work we do. A full list of all our projects is available here. Our 'Digital Scoping Study' advised the BFI on the best ways to use digital technologies to extend access to its existing archives and to assist in the collection and curation of new assets. 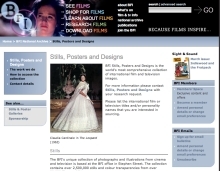 Following the study, we developed and supplied the bfi's 'Stills Image Management System'. 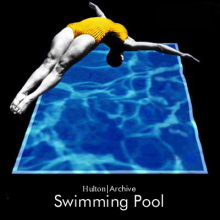 Broadening access to the 150,000 strong collection of images held by the Medical Photographic Library (MPL) is a core aim of the Wellcome Library. Our solution provides a complete, integrated system based on ImageIndex+ for cataloguing and digitising the entire collection, providing picture library management with image delivery and transaction management over the internet. 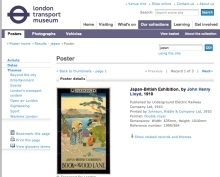 We have implemented and integrated the Collections Management System and Image Library System for the London Transport Museum as part of their Total Access Project. Public access web browsers driven by these systems and designed and developed by us, are accessible in the Learning Centre at the museum. Getty Images online provides instant access to hundreds of thousands of pictures from its international portfolio of image libraries. Getty Images uses our Index+ Web Gateway and Metadata Management to provide enhanced searching capability to Getty Online - a primary source of images for the media industry globally. 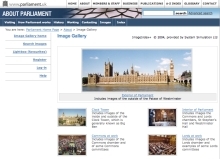 The Parliamentary Image Library was launched in December 2007. We worked with TSO and the Parliamentary Archives to create an image library powered by ImageIndex+. 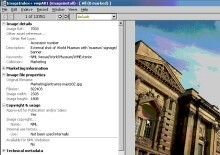 ImageIndex+ providing a common image management system for the eight constituent museums of NML. 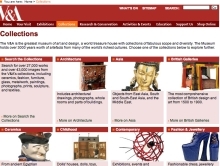 AssetIndex+ providing asset management for the galleries' collections management system, kiosks and website.